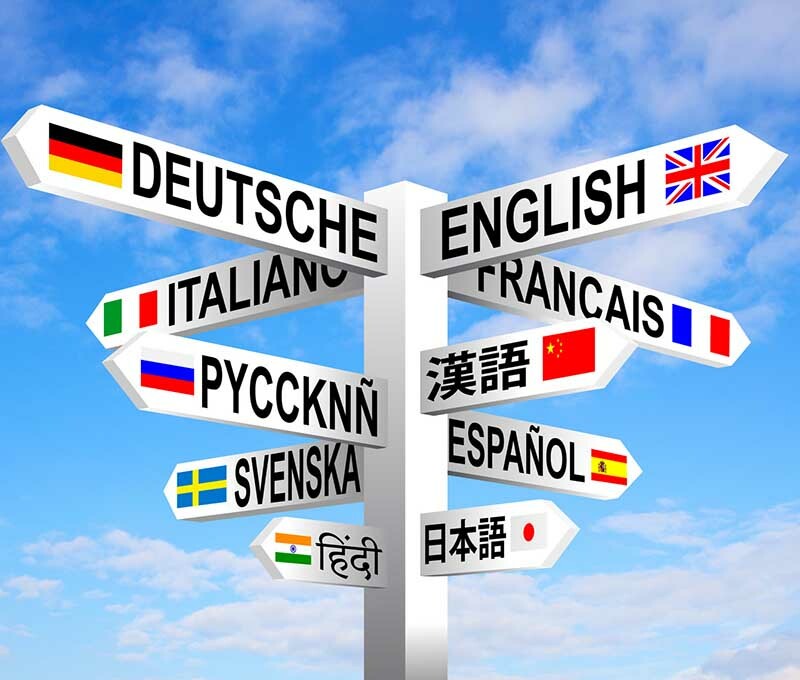 We are a comprehensive language interpreting and translating service. We strive to maintain our unbroken record of promptly procuring an interpreter/translator for every requested language. In addition to matching our clients’ specific needs, we provide added value through highly competitive prices and customer service that is simply unmatched. 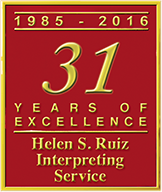 Helen S. Ruiz Interpreting Service (HRIS) helps clients communicate clearly and succinctly. HRIS has been providing state certified and registered interpreters for more than 30 years serving hundreds of companies, in conference, deposition, medical and courtroom settings. We are a premier California based firm specializing in providing comprehensive interpreting services throughout the state with a specialty in the area of Workers' Compensation. Whether on a conference call, in a boardroom, doctor’s office, deposition, town hall meeting or a courtroom, HRIS interpreters are there with our clients accomplishing goals and enabling success. With more than 150,000 interpreting sessions completed, we’re well poised to maintain our level of excellence. We offer our services in more than 165 languages including Spanish and American Sign language. At HRIS our dedicated client relations team delivers a distinct difference in quality and customer service. Our friendly and professional customer representatives respond to each client request armed with a well-earned reputation for creative solutions, exemplary quality and approachability. If we have to pride ourselves on just one thing, it would be our long-term relationships with our clients who tell us they appreciate our ‘can-do’ mentality. What differentiates our service from other agencies? On 31 Years of Service . . .
". . . about our solid reputation for customer service . . . it’s not a coincidence -- it’s a commitment." When we began our interpreting service 31 years ago, we had one objective in mind: to build our company on a strong foundation of customer satisfaction. With that in mind we took extraordinary steps to recruit and contract with only the highest caliber of professional and certified interpreters. But we didn’t stop there. As our company grew, we also gathered and assembled a stellar team of customer service and information technology specialists to ensure that every aspect of our business was poised to deliver only the highest level of customer service. And the response? The clients came and, more importantly, they’ve stayed with us through decade after decade. Through the years, in addition to implementing ongoing enhancements, we’ve surveyed our growing client base to find out what our customers like best about us and what might need improvement. The feedback we consistently receive from clients is that they greatly appreciate our exemplary customer service. So, today, when a new client talks about our solid reputation for customer service, I always proudly explain that it’s not a coincidence--it’s a commitment. And on our end, we never take our clients for granted. Let me take this opportunity to thank our interpreters, our dedicated administrative team and our much valued clients for partnering with us since 1985. We look forward to the next 30 years! !